Bivocational ministry is on the rise according to Merianna Harrelson, pastor of Emmanuel Baptist Church in Lexington, S.C., who led a workshop entitled The Power of Bivocational Ministry during the 2015 CBF General Assembly in Dallas, Texas. Within the recent economic climate and the trends of church starting, there has been a return in to the bivocational model of ministry that has a rich history within Baptist traditions. During the workshop participants had a chance to discuss the turn to this model of ministry and the challenges and joys of bivocation. One of the challenges that Harrelson pointed out was the misconception that many churches looking to hire bivocational ministers have. In reality, while bivocational ministry might sound synonymous to part-time ministry, Harrelson points out that these two terms are not synonymous. Bivocational ministry positions should assume that the hired minister works another job in addition to his or her ministry job. They should also employ these ministers just as they would full-time ministers, with benefits and retirement plans considered. However, if churches plan to hire bivocational ministers, they should adjust their expectations of that minister and respect the boundaries and schedule of that minister accordingly. Expecting full-time work and excessive office hours from a bivocational minister without the appropriate pay or resources is unfair and even undervaluing of the professional credentials and skills of that minister. Bivocational positions should encompass 20-30 hours of work per week and that does not include office hours alone. As a divinity school student, I am being forced to face the reality that there are a limited number of positions and a lack of adequate funding available to support full-time ministers. Therefore, bivocational ministry is a very real possibility for me and something that might be a part of my future. Harrelson states that she did not expect to be bivocational when she graduated from divinity school in the spring of 2014, however, she realized that she could not do what she was called to do and work a full-time job. So, she has found a way to make bivocational ministry work for her, even though she admits that it can be lonely and tiring. The greatest piece of advice Harrelson offered during the workshop is that we need to face the reality of bivocational ministry as a Fellowship, and start the conversation about this ministry model in order to lay the groundwork for the increasing number of new ministers entering the field without a full-time ministry job waiting on them. 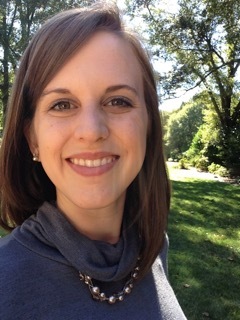 Mallory Monroe serves as the Minister to Children at First Baptist Church of Shelby, N.C. and is a final semester student at the Gardner-Webb School of Divinity in Boiling Springs, N.C. She will graduate in December with a Master of Divinity concentrated in the areas of Christian Education and Spiritual Formation. great note concider us for such ministries hw can africa grow outside fundend ministries.